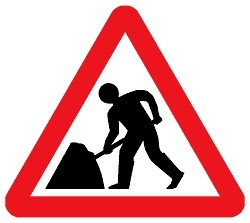 The A91 will be closed between Blairlogie and Logie Kirk from 0800 to 1600 on Sunday 1st March 2015 for tree-felling. If you’re heading toward Stirling then use Brook Street and go via Glenochil, or turn toward Tullibody when you reach Menstrie. Since they are tree-felling I doubt pedestrians and cyclists will be able to get through, so the Menstrie to Tullibody path should be used instead.